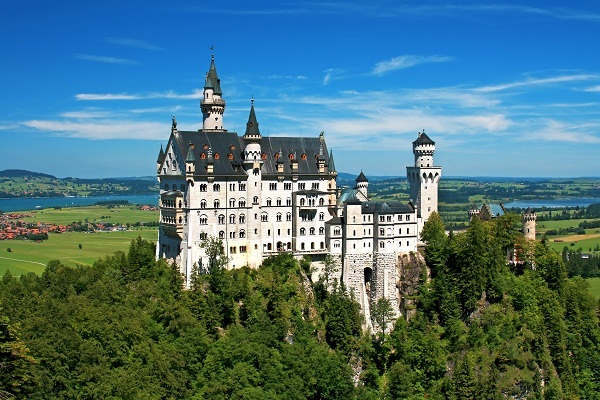 Enjoy an extended relaxed tour of beautiful Bavaria; travelling through magnificent countryside being captivated by Castles and country Palaces, including Schloss Neuschwanstein with its fairy-tale turrets of King Ludwig II, and the lavish Schloss Linderhof. Throughout the tour we have included visits to all three of Ludwig II Bavarian palaces so at the end you decide for yourself which really is the most spectacular. Berchtesgadener, protruding into Austria whilst still in Germany, is one of the most beautiful regions in the whole of Europe. Here we visit the Salzberwerk (Salt Mines), Lake Königssee (Kings Lake) and the Eagles Nest – perched at 1,834m this was given by Martin Bormann to Adolf Hitler for his 50th birthday. 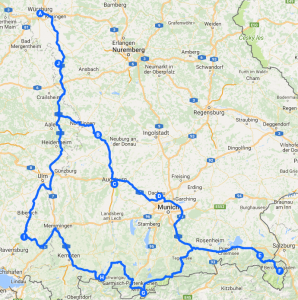 Along the way there is time to visit the many interesting villages of the famous “Romantic Road” as we travel towards Munich for a visit to the city and capital of Bavaria. Our final destination for the tour is wonderful Rothenburg ob der Tauber; origins here go back to the 12th century and little has changed to today, with its city walls surrounding Gothic cathedrals and an array of gabled houses it’s just perfect for a guided wander. We meet at a campsite in Würzburg. This evening there is an informal Welcome Drinks Reception, an opportunity for everyone to get together for the first time. 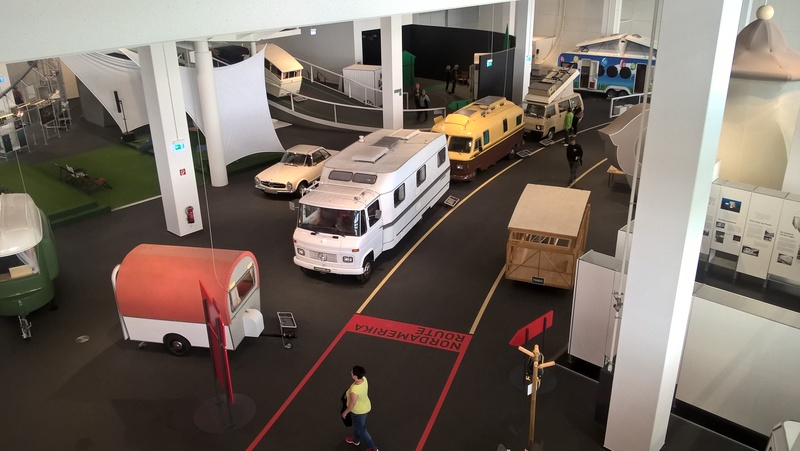 Munich, the capital of Bavaria, is our destination today, we will be collected from the campsite by coach and taken to Munich where we will meet our guide for a tour around the city. 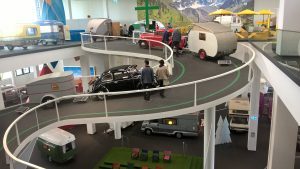 Our tour will end in the centre where lunch has been arranged in a city restaurant, followed by some free time before returning to the campsite later in the day. A free day and maybe time to relax, sit by the lake or take a swim. 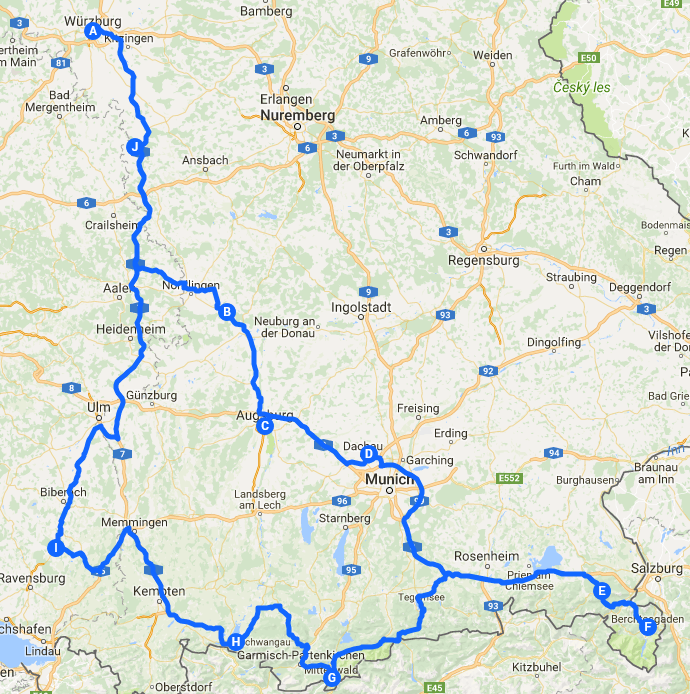 Alternatively use the excellent public transport link from outside our campsite for a visit to Augsburg. Our excursion today is to lake Chiemsee, where we take a boat to Chiemsee Island for a visit of King Ludwick II Herrenchiemsee Palace. Lunch has been arranged and included for you today. Free day to take in the wonderful views around the campsite. This evening we walk into the local village for a group dinner. 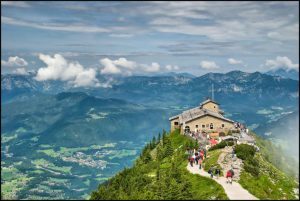 Standing on the summit of Kehlstein, the Eagles Nest (Adlerhorst) is our destination. The approach to the building is a true engineering masterpiece; firstly the scenic private mountain road and then the special brass lift cutting through the rock to the very top. Today’s excursion takes us to Lake Königssee (Kings Lake) and Germany’s highest at some 600m above sea level. Lunch is included in a local restaurant. Our coach will today take us to Schloss Linderhof, set among magnificent mountain scenery and surrounded by forest this is for many the most appealing of King Ludwig’s castles. Today we travel into Mittenwald to take the Karwendal cable car to the spectacular view point on the mountain top. You will have time to take in the wonderful views, enjoy a coffee or take lunch, before travelling back down in your own time to the village allowing you free time for shopping and a visit to the violin museum, later taking the bus back to the campsite. Free day. Group evening dinner in the campsites own quality restaurant. Today we visit Neuschwanstein Castle, the third of Ludwig II palaces on the tour. There is also time for a scenic drive around the lake and an included relaxed restaurant lunch. Free day – An opportunity to take the local bus from just outside our campsite into Füssen. Guided walk of Rothenburg this morning, followed by free time to explore this wonderful walled city at your own pace. 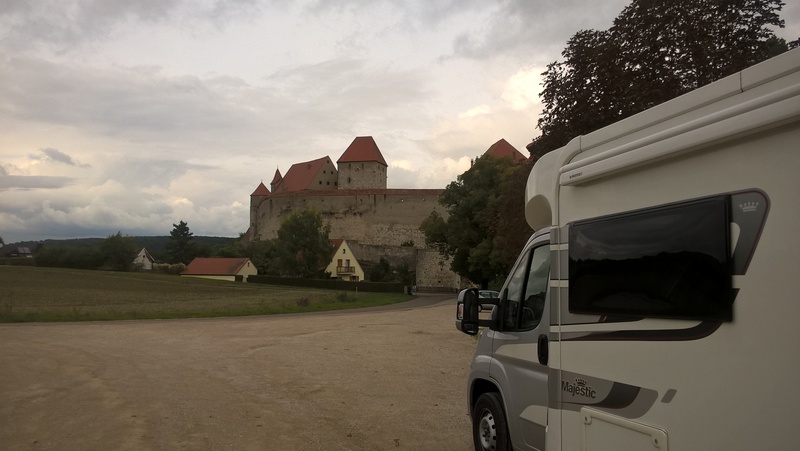 Free day to relax at our campsite surrounded by Bavarian hills or to return to Rothenburg ob der Tauber. This evening we have our Farewell Dinner in a local restaurant.